Fancy Headpins, Colorful chain, and a whole lot more, is just a click away! 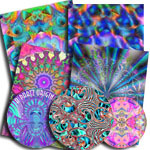 High resolution fractal design papers for crafting! We've got them as full sheets, special designs available in 1 and 2" circles, also as adhesive-backed and on card stock! They add a fabulous dimension to any project. EVEN BETTER!! Save 15-30% with Mixed & Match Partz: 14 categories (the best of our "partz") for you to make your own bundle... designer pricing AND a wide variety of choices! 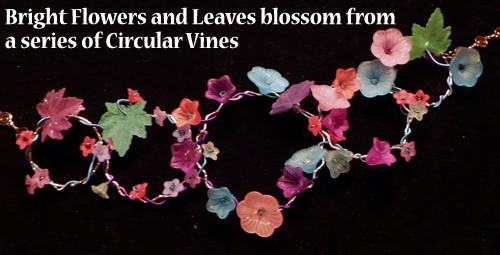 I love making floral necklaces and earrings (even hair clips) and am always fascinated by the reaction I get when people see the �viney floral cluster� I�m wearing that day. 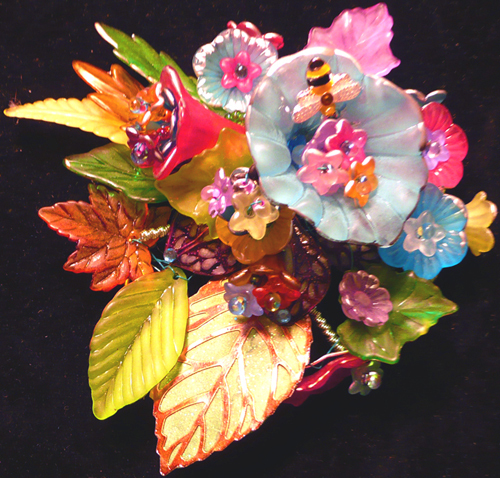 The first part will concentrate on using pre-made flowers out of Lucite, plastic, or whatever you have� later on in part 2, I will address nifty ways of making flowers using everyday items. SAVE on necessities and then some: Missing materials? I�ve bundled beads, coil, loops, charms, flower centers and am discounting the mix. You'll get enough "partz" for several projects and SAVE 15%.